How much do you change between high school and retirement? The answer depends on whether you're comparing yourself to others or to your younger self. The results of a new study, the first to test how personality might change over 50 years and relying on the same data source at both time points, finds that broad patterns of thoughts, feelings and behaviors – personality – do change, and this change appears to accumulate with time. But don't compare yourself to others; those who are the most emotionally stable when young are probably going to continue being the most stable as they age. "The rankings (of personality traits) remain fairly consistent. 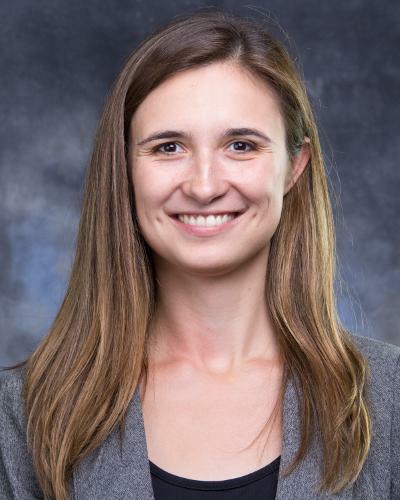 People who are more conscientious than others their age at 16 are likely to be more conscientious than others at 66," said Rodica Damian, assistant professor of psychology at the University of Houston and lead author of a new study on the subject. "But, on average, everyone becomes more conscientious, more emotionally stable, and more agreeable. Still, she said, researchers did find individual differences in change across time, with some people changing more than others and some changing in more maladaptive or harmful ways. The work, "Sixteen Going on Sixty-Six: A Longitudinal Study of Personality Stability and Change across 50 Years," was published Aug. 16 in the Journal of Personality and Social Psychology. Social scientists have long debated whether personality is stable – unchanged over time – or malleable. Recent studies have indicated it might be both, but longitudinal studies covering very long timespans and relying on the same data source at both time points are rare. The new research supports the idea that personality is influenced by both genetics and environment. Personality is described as patterns of thoughts, feelings and behaviors, consisting of five major traits: conscientiousness, agreeableness, openness to experiences, extraversion, and emotional stability. Damian said those five traits have been found across ages and cultures. The combination of those traits – how dominant each trait is in a given individual relative to the other traits -makes up the personality profile. With co-authors Marion Spengler of the University of Tuebingen in Germany, Brent W. Roberts of the University of Illinois at Urbana-Champaign, and Andreea Sutu, a graduate student working with Damian at UH, Damian used a dataset of U.S. high school students who answered a series of questions to assess personality in 1960 and again 50 years later. To what extent do people maintain their relative standing on personality traits compared with other people – for example, do people who are more impulsive than most of their peers at age 16 remain more impulsive than their peers at age 60? To what extent do average levels of personality traits change? Are people, on average, more conscientious at 66 than at 16? Does everyone change in the same way? Are there gender differences in patterns of personality stability and change across time? "Our findings suggest that personality has a stable component across the lifespan, both at the trait level and at the profile level, and that personality is also malleable and people mature as they age," the researchers wrote. They found gender differences in personality at any given time, Damian said, but, overall, men and women changed at the same rates across the lifespan.